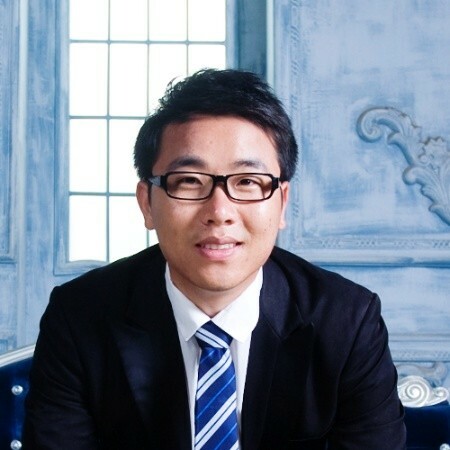 During an exposition in Amsterdam that showcased the latest projects in IoT, AI and blockchain, I had the pleasure to talk to the CEO of the ambitious DeepBrain Chain project, He Yong. DeepBrain Chain is building a blockchain-based, decentralized marketplace for AI resources and finds itself at the cusp of two emerging technologies. Firing several questions at the man who’s leading such a futuristic project lead to some interesting insights regarding the project, blockchain, and the status of AI. For those unfamiliar with DeepBrain Chain, what is your blockchain startup creating? We were the first blockchain + AI company in the world during our ICO last year. We’re targeting the cloud market for AI and believe that blockchain can bring major efficiencies to the AI research and development market. Through our platform, we’re trying to connect all the idle AI computing resources globally so the entire network can share computing power. We’ve used the concept of token economics to incentivise parties to contribute to our network and our DBC token is used to pay for computing power. Companies that would otherwise not have access to the immense amounts of computing power needed to seriously train AI algorithms can have access to our network. Moreover, because of it’s decentralized and automated network, we believe that the DeepBrain Chain network can provide AI cloud services for 70% less than the current market cost. Our AI cloud server will also allow for AI data storage, AI data annotation, AI analysis and AI algorithm trading. For example, data annotation and labelling is also a costly process, but also a highly inefficient one because this is mostly done in silos. This means that companies are doing exactly the same process again and again while sharing data collection, analysis and results could lead to serious cost efficiencies. Every AI company is trying to reinvent the wheel. Buy and build an AI server, build the software which has to continuously be updated while the hardware they built is rapidly falling behind competition. We will built the hardware infrastructure and the software frameworks for those companies so that they can focus on maximizing the potential of AI technology and create real world solution through AI. Our network will shorten time to market of AI products and services. How would you illustrate the opportunity your project is jumping on? Today, there is no algorithm that I know of that can connect thousands of computers to each other on a secure base. We see a great opportunity in sharing computing power because the market right now is extremely inefficient. For small companies, it’s really expensive to acquire the required GPU power. A lot people keep asking us how we’re planning to position ourselves against cloud service giants Amazon and Google. The first problem with this is that GPU renting at these companies is really expensive, especially for AI computations. We’ve been conducting research that concluded that within two years, renting is almost as expensive as buying your own GPU hardware. We’re targeting to get 70% of this cost through the efficiencies decentralization can establish. Large companies have large GPU rigs, but they are not fulfilling the demand of the companies now or in the near future so they still need to rent or buy more eventually, and when they’re not using their rigs, they stand idle while smaller companies could actually be renting and using this computing power. By connecting these parties, we can significantly boost the total AI development. GPU-based computer power is used for AI deep learning and we’re expecting an explosion in the demand for computing power. The computational demand for AI calculations is doubling almost every 3.5 months. AI is emerging as a mega trend and over the next 10 to 20 years there’s going to be a lot of needs that need to be met in order to support the mega trend. What is your initial main focus of the DBC; is it China or do you have a global strategy from the start? Our foundation is based in Singapore, but we have a team stationed in China and in Silicon Valley, so our first target markets in terms of partners and large customers will be located in those regions. Strategically, this also makes sense as these two countries are the biggest markets for AI development and solutions. We have investors from 150 different countries, but our main partners are located in these two countries. We also want to expand to Europe as we’re observing a growing demand for AI computational resources there too. What is your perspective on the current status of AI technology? I’d like to compare the status of our current AI technology as equivalent to the human intelligence of a three-year-old. It can definitely not solve most the issues for which we’re planning to use AI, but just do simple, repetitive tasks right now. There are numerous valuable real and potential implications of AI technology, but it still needs a lot of development. We’re at the infant stage. Do you think that blockchain technology can boost the development of AI? Oh, clearly. I think our project is a perfect example, as we facilitate connecting resources in the value system. Sharing resources can incredibly boost an industry. There are more companies coming in the space of combining blockchain and AI technology who are also seeing the potential of linking the two. So you’ve just recently launched project Skynet to attract providers of computational power to your network. We all get the Terminator reference, but there are some people that are afraid that a blockchain-based super AI is actually a threat to which there would be no plug to pull. In your opinion, is there actually a threat in combining blockchain technology with AI? Ah yes, Terminator style. Well, I can surely say that our Skynet project does not involve a self-evolving AI that powers itself, kills all humans, and takes over the world. We thought the name was funny because we’ve been talking to people who are actually thinking we are doing this. SingularityNet maybe, but the technology is decades from being even able to come close to doing this. For us, the Skynet project is launched to attract computational power to our ecosystem and the name really sticks. We don’t have to worry about a decentralized super AI with no plug to pull. Like I said, the current state of AI is comparable to the intelligence of a three-year-old which is not much to fear. As soon as jobs get more complicated, current AI algorithms slow down rapidly and there’s definitely no self-evolving element in AI at the moment. For anything like that doom scenario, we first need general intelligence and then super intelligence, which is what we’re heading for but it’s still far away. Honestly, I don’t think it will ever happen because we’re seeing a trend in AI that we’re developing it right now for very specific purposes and scenarios and I don’t see this changing very quickly. I think extremely specialized AI is more likely to appear if you look at the way we’re designing algorithms than general intelligence and general purpose AI, but who’s to say. Now back to the DeepBrain Chain project. What exciting things are happening for the project right now? We are selling our own AI mining machines. Specialized AI computer servers that easily connect to our DeepBrain Chain network. Members using this hardware will receive better returns on investment because our equipment is specialized in providing what our network wants, GPU for AI development. These miners can also become a node in our network. We will give perks to both early adopters of our mining hardware and to early entrants to the Skynet program to give our network the initial boost we need to get started. We always like to emphasise that if you believe in our network and idea, it’s the best idea to start contributing now as you’re getting paid in our DBC token, which we expect to strongly appreciate in value over time as our network keeps growing. You compensation now will be fair, but the value of that compensation in a few years will likely be much higher. It’s interesting to see that the DeepBrain Chain project clearly focuses on creating a blockchain-based infrastructure for AI development, instead of creating AI themselves. The decentralized AI marketplace He Yong and his team envisions could become a highly valuable platform for AI startups that could otherwise not enter the AI industry. Since both technologies are still in their infancy, the DeepBrain Chain has both an advantage in it being the first company of its kind, but also that it can grow with both industries. This means that the DBC network and platform can grow with the most recent developments in both industries. If the network can really cut AI development cost by 70%, the DeepBrain Chain project is definitely one to keep your eyes on. With their recent launch of the Skynet project, a first step towards a proof of concept is taken and we can gradually see how the decentralized AI cloud marketplace will unravel and whether GPU for AI development will actually be traded and at what cost. 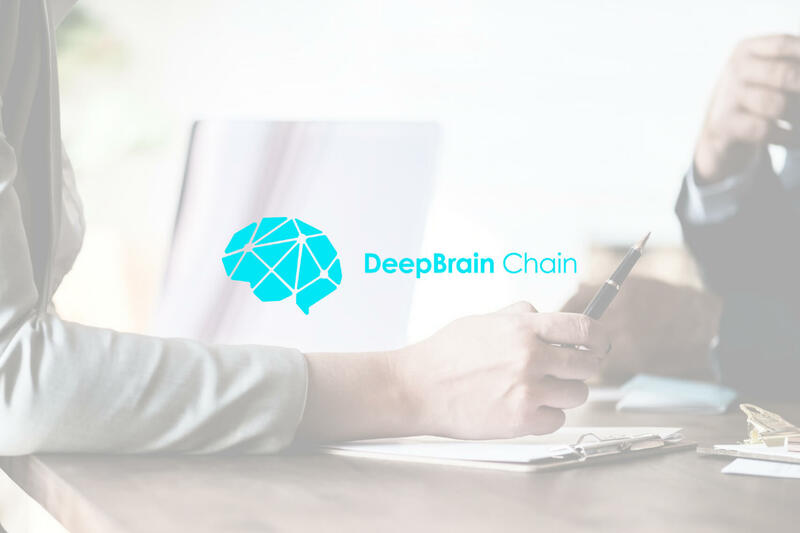 If you want to keep up to date with the Deepbrain Chain project, you can check out the project’s website, Medium page, Reddit page, Twitter page on join their Telegram group. Decentralization and Tokenization are pretty mind blowing concepts and will slowly start changing the way we interact with each other and our environment. If designed subliminally and expertly, for the better. Besides trying to discover all there is to the blockchain revolution, I can be found wherever the waves and 4G are.